Andres Nieto is Partner of the Banking & Finance and Securities & Capital Markets practices of Von Wobeser y Sierra, has a significant role in the Corporate and M&A practices and is member of the firm’s Management Committee. Andrés has more than 17 years of professional experience in Mexico, New York and Latin America advising large multinationals and global private equity investors and sponsors on acquisitions and investments in Mexico across multiple industries. His clients appear in Fortune 50 and Fortune 500, as well as the Dow Jones, NASDAQ, S&P 500, DAX and the Nikkei. 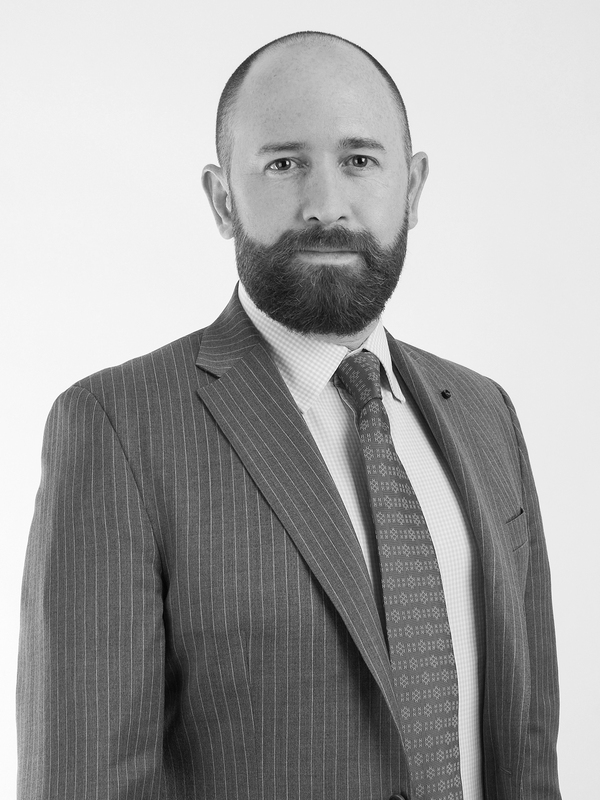 He has a multidisciplinary practice, with an emphasis on cross border transactions, which includes experience in several of the principal transactions that have taken place in Mexico and the United States in the legal areas of banking and finance, securities, private equity, mergers & acquisitions, as well as corporate, structured and project finance. Currently, he advises many national and foreign companies in their most important and strategic operations in Mexico and Latin America. His clients include companies and regional and multinational financial institutions based in the United States, Canada, Germany, the European Community and Asia. Additionally, he has advised clients in the development of legal strategies and solutions in relation to, among other areas, cross border acquisitions, financial operations and bank investments, incorporation of companies and associations, workouts, restructuring and reorganizations. Represented Takata Corporation (TKJP Corporation) and its Mexican subsidiaries in the negotiation of a global settlement for over USD$30 Billion of pre-petition liabilities and the selling of its substantial assets to Key Safety Systems (KSS) for USD$1.6 Billion. Advised Anheuser Busch InBev in its acquisition of Grupo Modelo leading the mandatory tender offer carried out in the BMV and other foreign markets, representing a transaction value for over USD$20.1 Billion. Advised Anheuser Busch InBev and Grupo Modelo in its divestiture of the U.S. business to Constellation Brands, representing a transaction value for over USD$5 Billion. Advised MacAndrews & Forbes and its portfolio company Harland Clarke Holdings Corp in its acquisition of Valassis, representing a transaction value of approximately USD$1.84 Billion. Advised Palladium Equity Partners in its acquisition of Q’Max Solutions Inc., representing a transaction value for over USD$500 Million. Advised Palladium Equity Partners and its portfolio company Prince Minerals in its acquisition of Erachem Manganese Chemicals business of ERAMET Group and in the sale of Prince Minerals to affiliates of American Securities LLC. Advised Centerbridge Partners, L.P. and its portfolio company KIK Custom Products, Inc. in its carve-out acquisition of Prestone Products Corporation. Advised Kohlberg & Co. in the acquisition of PPC Industries, Inc. Advised KPS Capital Partners, L.P. in the acquisition of Electrical Components International, Inc. Advised Clarion Capital Partners, LLC. in the acquisition of AT Cross Company, and in the acquisition by AT Cross Company of Sheaffer. Advised Mars, Inc. in the acquisition of Chocolates Turin (Turin controls approximately 5% of the Mexican chocolate market, which is worth more than USD$1.1 Billion). Advised Revlon, Inc. in the acquisition of The Colomer Group. He was distinguished as “Pro Bono Fellow” at Columbia Law School. He is actively involved in the firm´s Pro Bono activities and member of the Pro Bono Committee of the firm. Was Vice Chair, International Pro Bono Committee of the International Law Section, American Bar Association (ABA). And currently is a Member and Secretary of the Board of Directors of Fundación Barra Mexicana, A.C. Specialized course, The Academy of American and International Law, Dallas. Master of Laws Degree (LL.M. ), Columbia Law School, New York City, (CONACyT scholar). Foreign attorney, Paul, Weiss, Rifkind, Wharton & Garrison LLP, New York City. President of the Legal Committee of the International Chamber of Commerce (ICC) Mexico. Coordinator, Finance & Capital Markets Law Commission, Mexican Bar Association. Ex-Vice Chair, International Ethics Committee of the International Law Section, American Bar Association. Ex-Vice Chair, International Pro Bono Committee of the International Law Section, American Bar Association. Member of the Mexican Association of Private Capital. Adjunct Professor of Corporate Law, Universidad Iberoamericana. Adjunct Professor of Securities Law, Tecnológico de Monterrey, Campus Santa Fe. Adjunct Professor of Securities and Capital Markets Law, Universidad Panamericana. He has several publications and actively participates as speaker in specialized forums. IFLR 1000, Legal 500, Latin Lawyer 250 and Best Lawyers among others. Andrés Nieto - PLC Leading and taking security in Mexico. Spanish (native) and English (fluent).